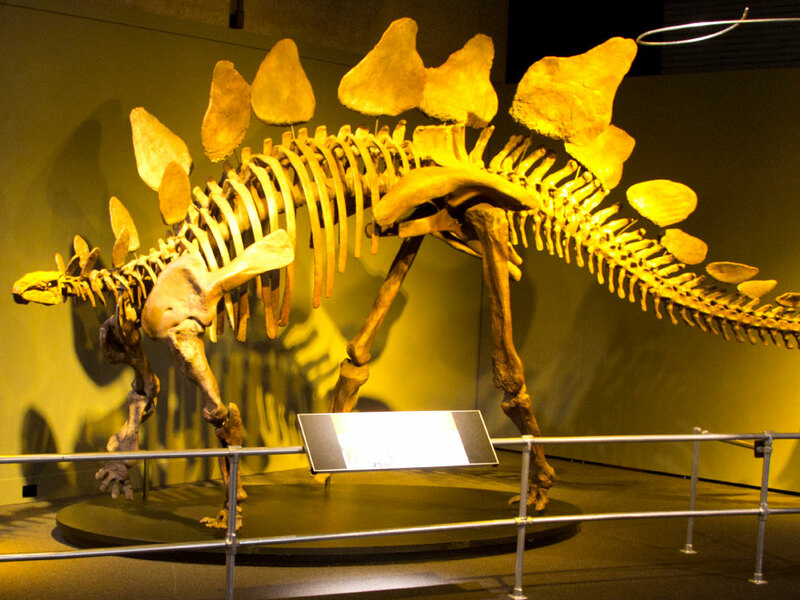 Not all dinosaurs were big, but the biggest ones outweighed anything that ever walked on Earth. And exactly how they walked on Earth has puzzled the curious for nearly 200 years. How quickly could these huge animals really move? How could they support their massive necks and tails? Answers are coming from an area of science called biomechanics. This approach applies principles of physics and engineering to biological movement; it lets scientists study animals—including humans—as if they were machines. Experts examine fossils, observe movement in living species and analyze muscle in order to flesh out these ancient giants. Thanks in part to biomechanics, paleontologists can now bring dinosaurs . . . alive! Apatosaurus louisae This steel and fiberglass dinosaur isn’t a sculpture, or even an exact copy of an ancient skeleton. 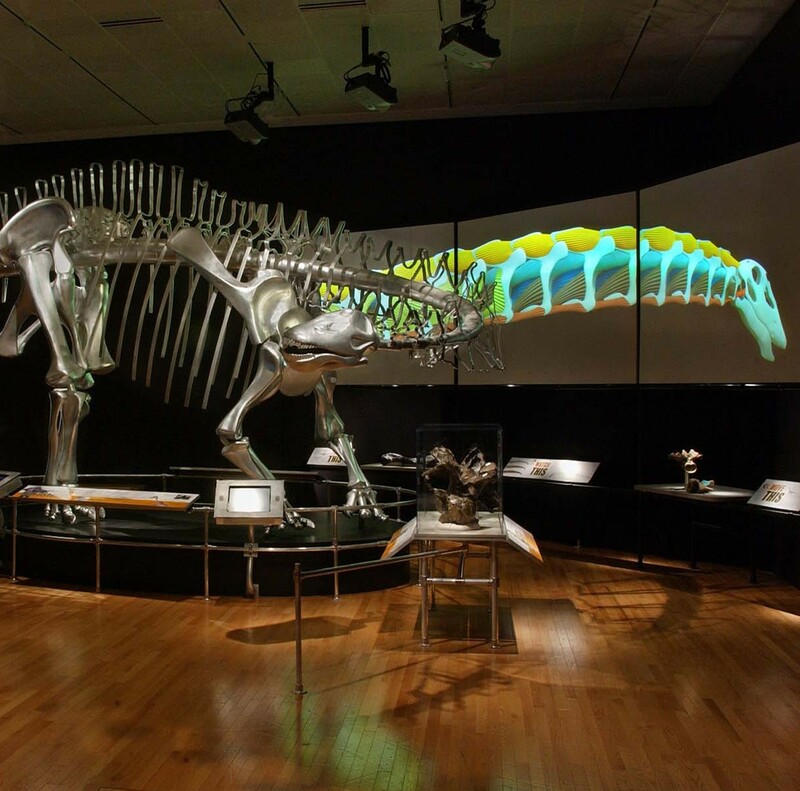 Instead, it is a three-dimensional version of a digital Apatosaurus created by a software program. 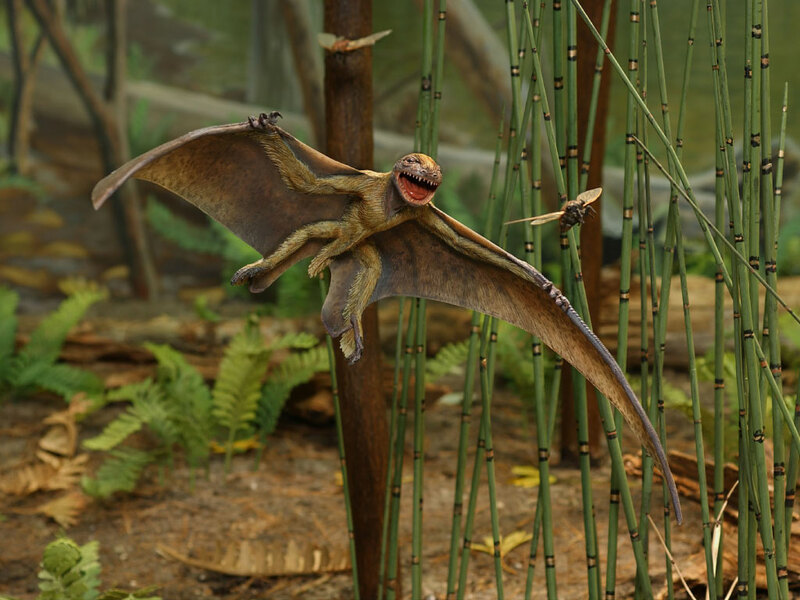 Computer simulations based on painstaking measurements of real fossils were used to predict the pose of the animal—head slightly lowered, tail slightly raised. This particular animal is not quite fully grown. Scientists use computer models, based on the shape of the animal’s bones and how they fit together, to predict its range of motion. It is hard to get these answers from real fossil bones, which are often incomplete or deformed and can weigh hundreds of pounds each. Moving them takes heavy equipment, not a computer mouse! The problems big animals alive today have a lot in common: They are heavy. They have few predators. And they tend to move slowly. But have big animals always behaved this way? Scientists continue to disagree about the speed—fast or slow?—of one very big extinct animal, Tyrannosaurus rex. 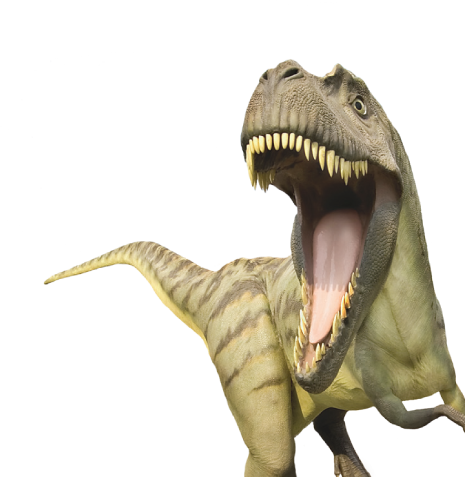 The most famous of the upright, largely meat-eating dinosaurs called theropods, T. rex would have weighed between 5,000 and 7,000 kilograms (11,000-15,500 pounds) with skin and flesh on its huge bones. That’s about as much as the largest African elephant. Bones can’t tell us everything about how an animal walks or runs. For example, the giraffe looks as if it might be a fast runner. It has very long legs, and skeletal details suggest the presence of large and powerful muscles. But with a top speed of perhaps 55 kilometers (35 miles) per hour, the giraffe turns out to be not much faster than the stubby-legged rhino. 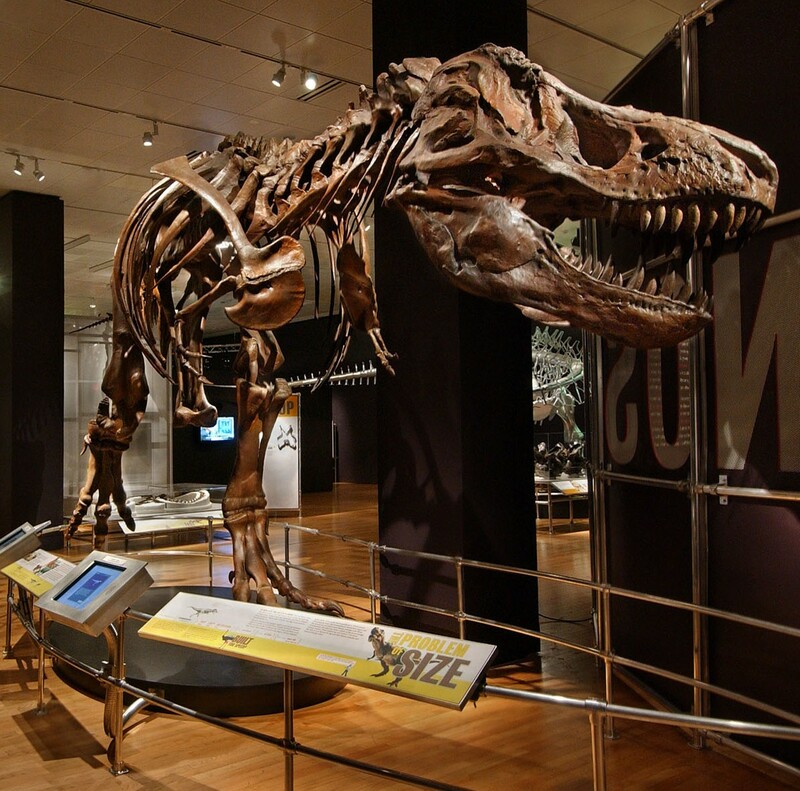 Some claim T. rex could run at speeds up to 72 kilometers (45 miles) per hour. 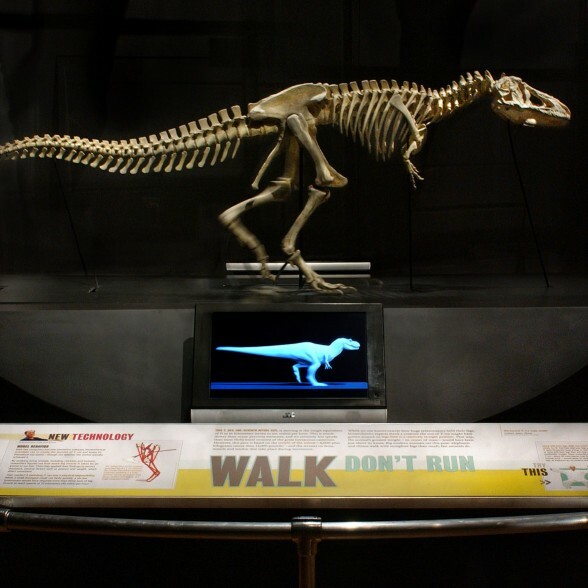 But biomechanics researchers argue that the animal moved much more slowly, perhaps only about 16 kilometers (10 miles) per hour—about as fast as an average human runner. 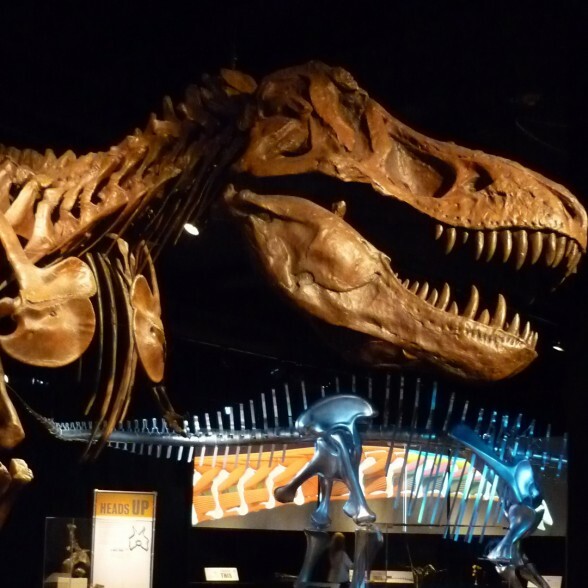 These experts say size slowed T. rex down. But why is it so hard to be big and fast? Bones, muscles and posture all play a part. Not all dinosaurs were big, but the biggest ones outweighed anything that ever walked on Earth. And exactly how they walked on Earth has puzzled the curious for nearly 200 years. How quickly could these huge animals really move? How could they support their massive necks and tails? Answers are coming from an area of science called biomechanics. This approach applies principles of physics and engineering to biological movement; it lets scientists study animals—including humans—as if they were machines. Experts examine fossils, observe movement in living species and analyze muscle in order to flesh out these ancient giants. 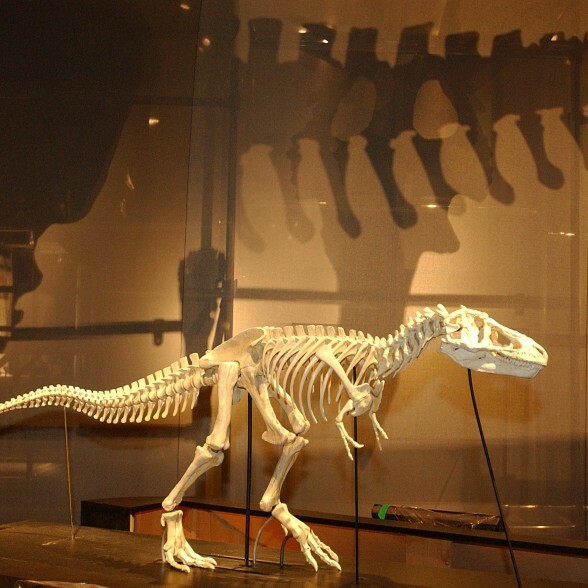 Thanks in part to biomechanics, paleontologists can now bring dinosaurs . . . alive!